There is not a recording available for this event but the Emerging Scholars Blog has a posting providing highlights and links to related materials. 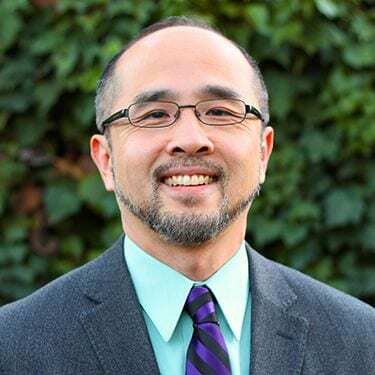 The final Lunch with a Higher Purpose for this academic year with Dr. Francis Su was co-sponsored by the Society of Christian Scholars on Thursday, April 4, 2019 at Noon (EST). Dr. Su is uniquely qualified to address our topic, Living out Academic Calling while Serving God on Campus. Dr. Su will address the tensions and triumphs of a life of faith and define the meaning of success for the professor called by God to the academic life. Francis Edward Su is the Benediktsson-Karwa Professor of Mathematics at Harvey Mudd College, and past president of the Mathematical Association of America. He received his B.S. in Mathematics from the University of Texas at Austin and his Ph.D. from Harvard University. His research is in geometric combinatorics and applications to the social sciences and he has co-authored numerous papers with undergraduates.